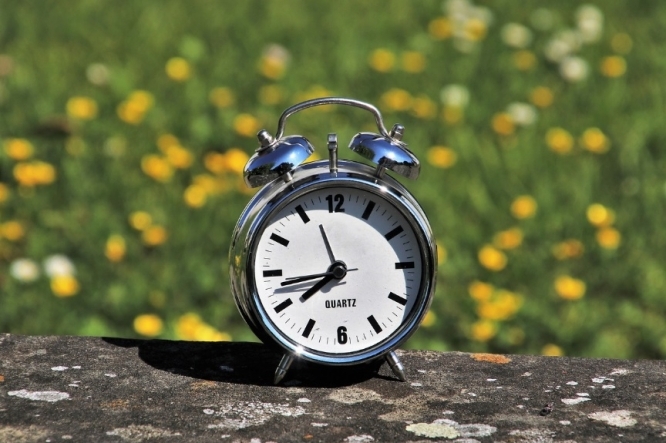 Over 80% of Europeans are in favour of abandoning daylight saving changes and keeping the clocks in “summer time” all year round, a new poll has found. The online survey polled 4.6 million people across Europe. It was launched by the European Commission (EC) following its own vote in February in favour of abolishing the clock change. The result, which showed that over 80% are in favour of abolishing the change, was verified by the German press agency DPA. It signaled that most Europeans asked want to remain in “summertime hours” all year round. The poll result itself was not binding, and a firmer decision on the issue is expected to be made before the European elections in May 2019. It will almost certainly still be up to the individual European countries themselves if they ultimately wish to make a change, should the measure be introduced. Currently, the clocks change twice a year: “forward” in March, and “back” in October. Daylight saving time for summer was most recently re-introduced in France in 1976, after the oil crisis. Germany and Austria were the first to introduce daylight saving measures in 1916, two years into the First World War. The idea was adopted by Britain and France soon after. Time in France has changed throughout the 20th century - especially during the Second World War - sometimes aligning with Britain (GMT/UTC) and sometimes with Germany and the rest of Europe (GMT+2). In 1945, France was due to have the same time zone as Britain, but the government eventually settled on GMT+1 as default - always ahead of the UK by one hour - and stopped daylight savings measures between 1945-1976. Daylight savings did not come into force across the whole of the EU until 1996. Critics of the hour change claim that it has multiple health implications for humans, causing stress, fatigue, sleep problems and digestive issues. Some cite statistics suggesting that there are more pedestrian deaths in winter, too, due to a lack of visibility during the day.